Planning a route using Sky Demon Plan is quite simple. You just click on consecutive waypoints until the route is finished. You can then alter the route by dragging any part of it to create doglegs around features or to experiment with different routings. With a live internet connection you can drag in real time NOTAMs, TAFs and METARs on to your chart and you can then amend your route accordingly. Charts are currently available for most of Europe and North America. GPS units including those of Garmin, Magellan and Sky Map. At time of recording this podcast the Sky Demon Plan software is available for Â£119. 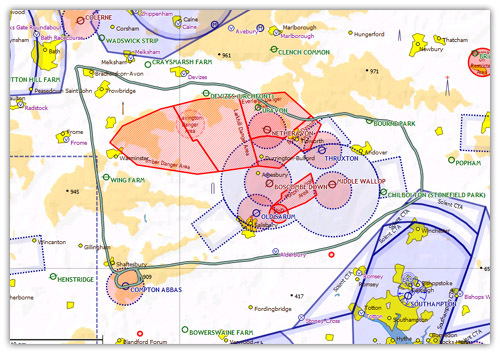 This not only buys you the license for the flight planning software but it also gets you the airspace updates for a year on a monthly basis and NOTAM and weather briefing downloads too. If you have a GPS enabled laptop or tablet PC, for example, you could use Sky Demon’s Plan software with Nav upgrade. This would cost Â£179. Print Centre – This enable users to print out PLOGs, enroute charts, enroute features, which is a very useful side elevation view of your route, and plates. You can of course print out your flight log data to review your flight. 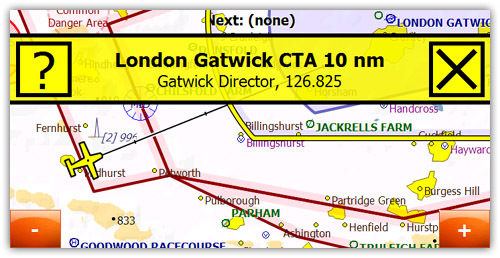 Electronic Flight Plan Filing – This is a major new feature on Sky demon and a great advantage for those of us that have previously tried filing a paper flight plan. Once all of your data is inputted, including your aircraft details, a couple of mouse clicks allows you to file your VFR flight plan. You can cancel, delay or close your flight plan via Sky Demon’s website. Sky Demon are partnering with Euro FPL and the costs are Â£10 a year for unlimited flight plan filing. Winds Aloft – This allows Sky Demon’s Plan software to incorporate the winds aloft data, direct from the internet, in to your flight plan. The winds are displayed neatly on your chart and are essential for calculation of your route including your fuel burn. 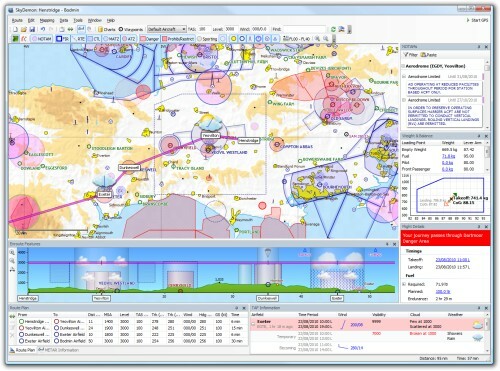 Full vertical navigation planning – Sky Demon Plan will now allow you to specify cruise, climb and descent profiles leading to more accurate simulation of all phases of your flight. This is a great additional feature especially, again, for fuel planning. All of Sky Demon’s software is available on a 30 day free trial so you can make sure that the product is suitable before you go ahead and buy. Currently your initial purchase price of the flight planning software includes one year of chart updates, software upgrades, NOTAM and weather subscriptions. If, when you buy your software, you mention that you heard about the product via Flying Podcast, they’ll give you an extra month’s subscription making 13 months in all. To take advantage of this bonus offer you will need to call Sky Demon direct on 01963 250029 or send an email to: sales@skydemon.aero and tell them that you heard about Sky Demon through this podcast website. Sky Demon have recently ventured in to the hardware world. 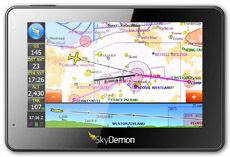 They now market a 4.3″ touchscreen mobile GPS called the Mobile SD and it is designed to work with Sky Demon’s flight planning software. Currently the unit is sold at Â£579 and it comes with a Sky Demon Plan software license for one year. I must say that I do like the way that the screen is laid out. It’s very intuitive to use and the charts are extremely clear. They also have what they call ‘virtual radar’ which is similar to the Aware’s airspace alarm, warning pilots of upcoming controlled airspace. I particularly like the enroute plan which shows you the side view of your flight along the bottom of the screen. You can trial the GPS unit by utilising the simulation feature that Sky Demon offer. So you can ‘fly’ a virtual route on your home PC and simulate how your flight would appear on the SD Mobile. You can find out more about all of Sky Demon’s products by visiting their web site. Click on the banner below. From what I’ve learned from speaking to people in the aviation field, Sky Demon do have a great reputation. They have a very loyal following and their after sales service and support appears to be pretty good. So download their software and take advantage of their free 30 day trial. And if you do decide to go ahead and buy anything from them, just mention Flying Podcast and you’ll get a small bonus too. This entry was posted in All Podcast Episodes, Equipment and tagged Flight, Flying, General Aviation, GPS, planning software, Podcast, podcasts by admin. Bookmark the permalink. Very interesting. Keep up the great work. Morning people..! I’ve only just heard od SkyDemon and have loaded the trial version; it’s what I’ve needed for the past 27 years of flying – what an excellent program – it’s does every thing I need. It’s brilliant….!!! You’re right, Brian. Sky Demon is superb isn’t it?